Are you struggling with your job hunt? Not getting through the ‘Gatekeeper’? 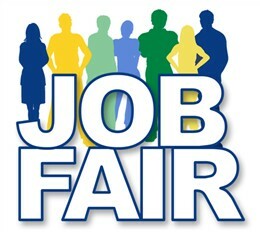 Take advantage of the Douglas County Job Fair on February 4, from 10 am – 2 pm. It’s an opportunity to get face-to-face with many employers, in one place, at The Douglas County Fairgrounds. The best part, it’s free! The Castle Rock Chamber is hosting this fantastic event. Before the Job Fair, it might be nice to brush up on your interview skills or fine tune your resume, to make sure that you’re making the best impression. Visit The Douglas County Events Center on Monday, Feb. 1 from 10 am – noon for a complimentary interview skills workshop event. After you’ve attended the interview skills workshop, get to the Douglas County Job Fair on Thursday, February 6 at 10 am to find your new job. Don’t worry about not finding the right job, there will be a variety of businesses for you to impress.